G’Day Casino is a reliable, safe and extremely entertaining Australian-themed online casino, which welcomes players from all over the world. It is home to a rich and diverse collection of games powered by multiple software providers and available in-browser. But what makes G’Day Casino a preferred gambling destination for thousands of players is its vast range of generous bonuses and promotions. The online casino was established in 2013 and since then, it has expanded its operations to a large number of countries around the world. Unfortunately, it currently does not allow registrations from Australia and the United States, but at least European players can enjoy the fun concept and the Aussie theme of the casino. It has a modern, user-friendly design and a colourful, amusing imagery complete with lots of lovely kangaroos. In order to provide its customers with diversity and more betting options, G’Day Casino is in partnership with various software providers, responsible for the huge gaming collection on offer. There are hundreds upon hundreds of online slots, card and table games, video poker versions and plenty of specialty games and scratch cards. In addition, the glamourous Live Casino offers an authentic casino atmosphere and multiple games hosted by live croupiers. In terms of promotional offers, G’Day Casino is really generous to its customers. 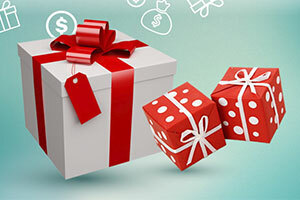 Newly registered players are given exiting bonuses upon making their first three deposits. 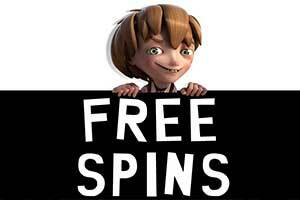 They are worth £5,500 in total, but that is not all – 200 free spins are credited to their accounts. In addition, existing players make the most of the different bonuses they are given twice a week and the Loyalty Points they collect while playing and then can exchange for cash. Along with the lucrative bonuses and many games to choose from, gambling enthusiasts who decide to register an account at G’Day Casino have the opportunity to deposit instantly and withdraw their winnings within a few days. 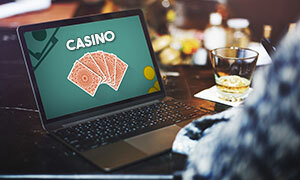 The gambling operator has integrated a large number of safe and convenient banking methods, while the website is secured by 128-bit SLL digital encryption which protects the user data and details of every financial transaction. Online Since G’Day Casino was established by Caddell Limited N.V., a Curacao-based international gambling operator. Deposit/Withdrawal The minimum amount you can deposit is £10, while the minimum withdrawal amount is £30. There are no maximum limits for deposits and withdrawals, but note that each payment method transfers a certain maximum amount of money. In case of jackpot wins or wins of £100,000 and more, G’Day Casino may pay them out in monthly installments. 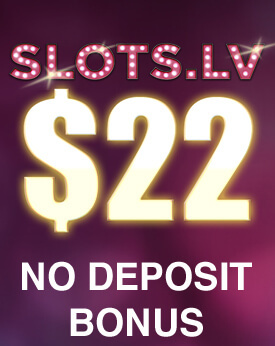 No Deposit Bonus The casino does not currently offer no-deposit bonuses, but it occasionally grants existing players with free cash bonuses and free spins. However, they are not available to players residing in the UK. A qualifying deposit of at least £20 is required in order to receive the three bonuses. The cash balance and the bonus balance are locked and funds cannot be withdrawn before meeting a wagering requirement of 35 times. The winnings from the free spins are also subject to 35x wagering. To complete the wagering, players need to place bets equal to at least 35 times the amount of the deposit and the bonus on slots and scratch card games. Until the playthrough is complete, the maximum bet allowed is £5. Deposits made via Skrill or Neteller do not qualify for the Welcome Bonus. Regular Bonuses Every weekend, players are rewarded different bonuses as part of the Weekend Celebrations promotion. Another regular special event is the Tuesday Bonus, which is given upon deposing on Tuesdays. The exact type and amount of these bonuses are different each time, but they all come with a 35x wagering requirement. The General Terms and Conditions also apply. Loyalty Programme G’Day Casino rewards players for every bet they place on real-money games. When you register for the first time, you receive 500 points and after that, you start earning points a different amount of Loyalty Points for every £10 you wager on casino games – 2 points on slots and scratch cards, 1 point on video poker, etc. 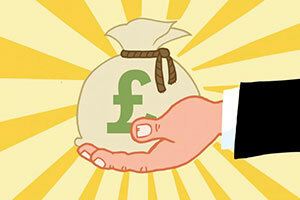 You can redeem your points for cash bonuses – 1,000 can be exchanged for £5. VIP Club Every player can qualify for VIP Club membership, but the casino does not list the requirements for eligibility. Access to G’Day Casino VIP Club is granted by invitation only and VIP players can enjoy various perks such as special promotions and bonuses, a cashback program (25% cashback on all losses), invitations to exclusive events, and more. Software The Australian-themed casino features high-quality content from top gaming studios such as NetEnt, Microgaming, Elk Studios, Leander, 2 by 2 Games, Rabcat, Aristocrat, Evolution Gaming, NYX, Quickspin, Thunderkick, and many more. 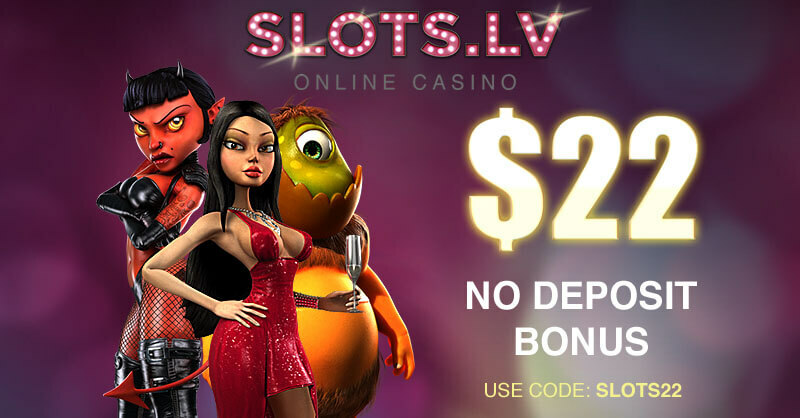 All games are available through the instant-play platform of the casino. Popular Jackpots Under the Jackpot Pockies category, players will find some of the most popular progressive jackpot slots right now. Among them are Hall of Gods, Mega Moolah, Super Spinner, Mega Fortune, Arabian Nights, Major Millions, The Naked Gun, Vikings of Fortune, and more. Game Types All game types are nicely represented in the lobby with categories such as Pokies and Bonzer Pockies, which refer to slot games, and Jackpot Pockies, where you will find all progressive jackpot slots. There is also a wide range of card and table games, scratch cards and video poker games. Last, but not least, one of the best sections of G’Day Casino is its Live Casino. Live Casino The Live Casino hosts a fantastic live lobby by Evolution Gaming where gambling enthusiasts can play roulette, baccarat, blackjack and poker games. The tables have different betting limits and should fit most bankrolls. They are available only for real-money play, so you will not be able to open them in practice mode. All games are hosted by professional casino dealers and allow players to chat with them and with fellow gamblers on their table. The sessions are streamed in HD quality and some of the games can be opened even on mobiles. Mobile Casino A large part of the games offered at G’Day Casino is also available on iOS and Android devices. No download is required – the Mobile Casino loads instantly the web browser of your phone or tablet. Its layout and interface are nicely designed for touch screens with convenient menus, simplified casino sections and large game icons. The mobile games are compatible with iPhone 3GS, 4, 4S, 5, Ipad2, Ipad3 with iOS 4.0+, as well as all devices running on Android 2.3.5+. Deposit Methods Players can choose from a vast range of safe and convenient payment methods when making a deposit at G’Day Casino. The banking options include Visa, MasterCard and Maestro credit and debit cards, Skrill and Neteller e-wallets, prepaid Paysafecard, Boku which is a mobile payment method, as well as regular bank transfers. Locally available payment methods are also offered – Giropay, SOFORT, Trustly, DotPay and Interac Online. Currencies G’Day Casino operates in several different currencies, namely GBP, EUR, CAD, SEK, NOK, NZD, and ZAR. Languages The casino site supports multiple languages and along with English, players can access it in German, Swedish, Norwegian, and Finnish. Support The online casino also offers multi-lingual support, available at any time of the day or night. You can contact the support team via the Live Chat functionality on the website or at support@gdaycasino.com. Licences G’Day Casino is fully licensed and regulated by Curacao. Its owner and operator for the UK, Caddell Limited N.V., holds a licence from the UK Gambling Commission. However, for the rest of the world, the casino is managed by White Hat Gaming Limited on behalf of the owner and it is fully licensed by the Malta Gaming Authority. GDay Casino has an extensive selection of online casino games that you should certainly take into account when choosing a gambling website. 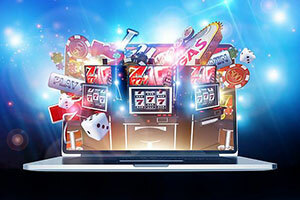 This casino is powered by a variety of software providers, some of which are industry leaders, namely Microgaming, NetEnt, Evolution Gaming, Betsoft, NextGen Gaming, Thunderkick and many more. The gaming library includes all important genre, such as slots, table games, video poker and live dealer titles. 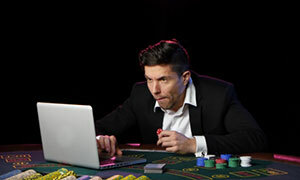 Registered users can access the casino directly from the window of their computer’s browser and load the games with ease. The instant play interface makes it possible to start a game without the need to install any additional software. Mobile users, on the other hand, have the options of gaming while on the go. They have a similar process where they load the casino website and simply choose a game and play. The slots category is the largest one at GDay Casino and in it, you will find the highest number of games. Partnering with so many software providers at the same time has allowed GDay Casino to gather a great selection of high-quality slots. Numbering in the several hundred, the slot games at this casino have massive diversity and variety. You will be able to play just about anything you can think of and if you ever become bored with one game, you will have hundreds of others to choose from. Here, you will find some of the all-time classics in the online gambling industry. We are talking about games such as Starburst, Gonzo’s Quest, Raging Rhino, Immortal Romance, and Dead or Alive. The casino also offers a good number of branded games based on contemporary popular culture such as Jurassic World, Game of Thrones, Terminator II, King Kong and plenty more. Additionally, there are plenty of slots based on mythology, with titles such as Avalon II, Zeus: God of Thunder, Eye of Horus, Kronos Unleashed, Asgardian Stones and others. NetEnt’s fan-favourite music-themed slots are also available. We are talking, of course, about Motorhead, Jimi Hendrix and Guns N’ Roses. Roulette is a major game genre in the online gambling industry and GDay Casino has not neglected this fact. 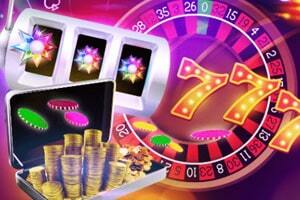 There are a variety of top-quality roulette titles that you can play at this online casino. French Roulette is an excellent variation of the game and it is one that you will most certainly wish to play. This is due to the fact that it includes the La Partage rules, which significantly reduces the house edge for even money wagers. Moreover, it comes with several betting limits brackets, allowing casual players and high rollers to play in their prefered style. European Roulette Gold is another top-shelf roulette game courtesy of Microgaming. This variation sticks close to the original formula and its goal is to present you with the traditional experience. As a result, you will not find any outlandish features, rather only the game as it is meant to be played. 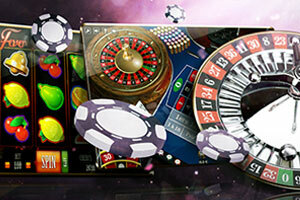 As with most Microgaming roulette titles, European Roulette Gold allows for bets up to £80. If you desire, you can visit GDay Casino and personally see what games they offer. 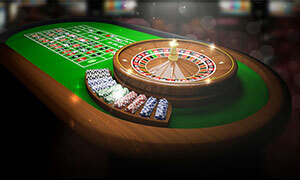 There you will also find Roulette Advanced, Roulette Touch, Roulette Master and more. 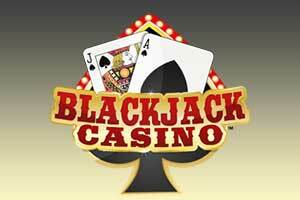 Blackjack fans will be treated to an excellent selection of games, most of which come courtesy of NetEnt and Microgaming. GDay Casino only offers the best that the industry has to provide and players report only good things about the blackjack library. Single Deck Blackjack Pro is one of NetEnt’s most prominent blackjack games. It is characterised by the use of only one deck, whereas most other blackjack titles use 6 or 8. Additionally, the payout ratios remain unaffected, despite the single deck. A blackjack hand pays 3:2, while Insurance still rewards 2:1. This game allows you to wager anywhere between £1.00 and £40.00 per hand. Blackjack Double Exposure a great variation in the genre that brings something new to the table. Whereas most other blackjack games would keep the hole card hidden or not deal one entirely, this one opts to show you both of the dealer’s cards. As a result, you can make your decisions with higher precision and calculate risks. A blackjack hand has a payout ratio of 3:2 and Insurance is still 2:1, however, the dealer will win all ties. If video poker is your cup of tea, then you should certainly take a look into GDay’s selection of video poker titles. The casino has certainly put in a lot of effort in making sure that fans of the genre are provided for. Here, you will be able to play many of the popular video poker variants on the Internet. Jacks or Better is an iconic version of video poker and you cannot go wrong playing it. The niche of the game is that the minimum qualifying hand is a pair of Jacks, whereas in some other games it is a three-of-a-kind. Jacks or Better comes with a 9/6 paytable, which makes it worth your while. Up to five coins can be wagered per hand and you can win up to 4,000 coins for scoring a Royal Flush. Joker Poker is an interesting variation of video poker, where the Joker serves as a Wild card. Moreover, the minimum qualifying hand is a pair of Kings and the paytable comes in the 7/5 format. Players can wager up to 5 coins per hand and the maximum payout is 5,000 coins for a Royal Flush hand. There are plenty more video poker titles at GDay Casino for you to enjoy, but sadly we cannot list them all here. You would do well to personally take a look into the video poker selection and see for yourself. The progressive jackpot genre is one of the primary ones at GDay Casino and there are plenty of games which you can play to satisfy your needs. There are a variety of progressive titles for you to enjoy, with Mega Fortune being a prime example. This NetEnt game is one of the largest progressive slots in the industry and it is played by millions around the globe. It is themed around living a life of luxury and wealth, which is something that you will certainly be doing if you win the 7-figure jackpot. Mega Fortune has all the qualities of a modern slot game, more specifically 5 reels, 25 paylines and a wide range of betting limits, with the maximum bet going as high £50.00. Mega Moolah is another great progressive slot game which you should certainly consider. Created by Microgaming, this title is one of the most iconic of the online gambling industry and it generally comes with a 7-figure jackpot attached to it. The theme of the game is of the Savannah, with various animals appearing on the reels. Moreover, it is quite cheap to play with a maximum bet of £6.25. Additionally, the Mega Moolah game shares a jackpot with Mega Moolah Isis, a slot based on Ancient Egypt. Both titles are certainly worth your time and attention, and if luck is on your side you can become an instant millionaire. The live dealer selection at GDay Casino is a mix of NetEnt and Evolution Gaming titles. Here you will have at your disposal a wide variety of games, which includes the most popular casino genres on the Internet. More specifically, you will have the opportunity to play Live Blackjack, Live Roulette, Live Common Draw Blackjack, Live Caribbean Stud, Lightning Roulette, Live Baccarat and other excellent games. The betting limits are different for each individual table, therefore, we cannot give any specifics. However, typically betting starts at £1.00 on certain games, meaning that anyone can engage in some live gambling. Yes, the games offered at G’Day Casino are created by trusted software providers who use RNG (Random Number Generator) technology to ensure the outcome of each game is random and cannot be predicted. In addition, all games are certified and regularly tested, and the casino is licensed by the Government of Curacao, which regulates and monitors its gambling operations. This guarantees fairness and responsible attitude towards all customers. What Is the Sign-Up Bonus at G’Day Casino? New players at G’Day Casino can enjoy an exceptional sign-up bonus of 100% on their first deposit. It reaches £5,000 and is available after depositing £20 or more. In addition, the casino gives you up to £500 on your second and third deposit, as well as 200 free spins on some of its most popular slot games. Deposits via Skrill and Neteller do not qualify for the Welcome Package. There is a 35 times wagering requirement that needs to be met before a withdrawal can be made. Only slots, scratch cards, and Keno games contribute towards the wagering. When Will the Withdrawal Reach My Account? Withdrawal timeframe depends on the payment method you have chosen to use. After a cashout request has been made, the withdrawal is in pending status between 24 and 48 hours, during which time you can cancel the transaction. The casino processes these transfers to e-wallets within 1 to 2 business days and to credit/debit cards – within 2 to 5 days. Wire transfers take longer to process -between 5 and 10 business days, depending on the bank you have an account with and the country you live in.